Contact INFRADOC® - INFRADOC EUROPE, Ltd. Please contact us for more details: +371-28233188, +371-67204505. INFRADOC® offers a special discount on all Classic and Nano 360° infrared sauna cabins. 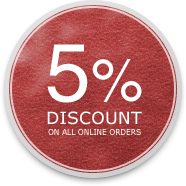 As soon as we get your request we will send you the price of requested infrared cabin with 5% discount. Infradoc.com beta version is available only in English. Our subscribers get the latest news about exhibitions, sales and special offers, Infradoc innovations and services provided worldwide.